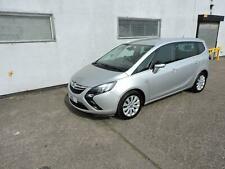 Full Service History, Low Mileage 36000m, MOT Till 12/10/2019. 2014 Vw touran 1.6 tdi dsg automatic. 4x Electric windows electric mirrors. Alloys CD player car is in excellent condition inside and out. £5900 ovno. Smooth DSG Gearbox. 1.6 Litre TDI Engine. 2 Previous Owner, Silver, CLOTH SEATS, CD PLAYER, AIR CON, 7 SEATER, ALLOY WHEELS, Gear Knob Leather, Mirrors Internal, Parking Aid (Front/Rear), Rain Sensor, 12V Socket in Front. 64 Plate Volvo XC60 D4 181 SE Manual 2WD. This Volvo is in great condition throughout. The interior is in excellent condition. The carpets have had overmats on from new. The vehicle drives faultlessly. Martin Brothers Motor Company - Call us on 441917314582 or click here to find out more. FULL VAUXHALL MAIN DEALER HISTORY. FANTASTIC LOW MILEAGE. THIS ONE HAS THE LARGE COLOUR SCREEN SAT NAV INFO TECH SYSTEM. REALLY NEEDS TO BE SEEN. 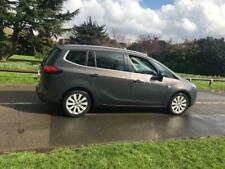 Vauxhall Zafira Exclusiv 1.8 Petrol. 2014 (64 plate). Drives well with no faults. Genuine reason for sale. Visible Mark on the left back bumper which I've been quoted £200 to fix. Washed inside and out ready to go.